The July 2011 issue of PhotoComment Magazine is live on our site as well as hitting the shelves of stockists throughout this week. Here is a breakdown of what you can find inside. Don’t forget you can buy a postage paid subscription of the print magazine if they running off of shelves faster than you can get to them. You may have seen his portfolio and cover image in the April 2011 issue, and last month his image was on the cover again following his review of the Fujifilm Finepix X100. This issue is the first of what we hope to be many more for Armani Quintas our new magazine editor. From this founding father, a big “Welcome Aboard”. This months cover is the winning image from the first Potchefstroom Full Day Studio Workshop. It was taken by Ronel Arnold and we feature some more of her work on page 24 of this months issue. Give us your feedback of the cover. This is perhaps one of my most favourite features in the magazine and this month we feature American based photographer, Sara France. Her portrait and wedding work is amazing and her personality upbeat and inspiring. You can find our interview with her on page 8. When I was a teenager it was not easy being crazy about photography when everyone else around you was into computer games and sports. Holly Snell is another of those teenagers who is going through more than a photo fad and her passion for photography shows in her portfolio in this issue on page 20. July is the first issue where the publisher readers portfolio grabs a prize sponsored by Outdootphoto. Candice Peetz was this months lucky reader and won the Wacoom Bamboo Touch graphics tablet. For August the prize being sponsored by Outdoorphoto is a Lowepro Pro Runner 350 AW. What are you waiting for, submit your portfolio online right away. This month we featured a technique by regular contributor Lisa Solonynko on creating Abstract Images (page14). We also have Frank Krummacher of the College Of Digital Photography take us through the process of shooting Long Exposure images on page 18. 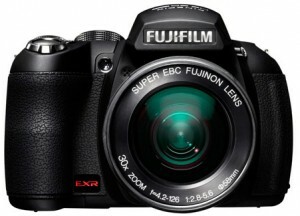 We review the Fuji Finepix HS20, a 30x optical Super Zoom hybrid camera. We also get our hands on (finally) the Nikon D7000. Both these reviews will also go live here on the site over the next few weeks. This is a new feature in the magazine where we highlight one store a month from the great magazine stockist we have out there and help you get to know some of the top photographic stores around. This month we look at the new Cameraland store in Santon City. We end off with my regular Final Comment where I change my direction a little on gear and note that sometimes we can only achieve certain results with certain gear.